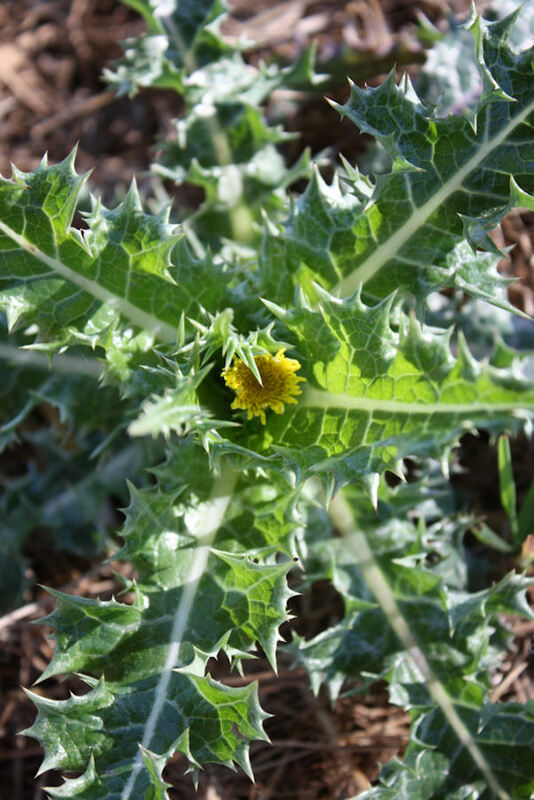 Spiny Sowthistle - Sonchus asper is by far the most widespread of the Sonchus clan growing across the entire United States including Hawaii and Alaska and all of southern Canada. Of the five or so Sonchus species here in the states, its range is only second to Common Sowthistle - Sonchus Oleraceus whose growth range reaches further into northern Canada and also Greenland. 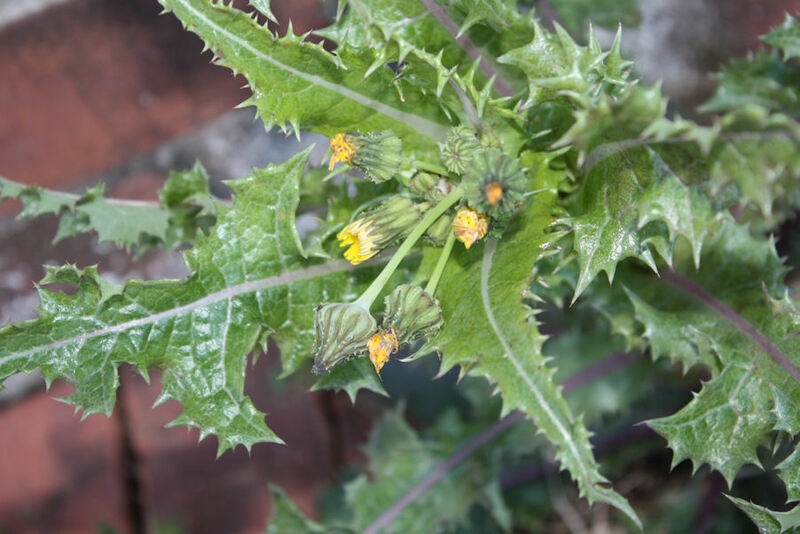 Spiny Sowthistle is one of at least four edible Sonchus in the southeast, all of which grow here in Alabama and have similar edible qualities about them. This genus' edibility goes way back to the Native Americans in this country even though they are supposedly originally native of Europe with some saying the genus was used for food there for over a thousand years. Being in the Aster (Asteraceae) Family, sowthistles have edible and inedible relatives ranging from coneflowers to daiseys to cockleburrs. This is the time of year that Spiny Sowthistle likes to grow because it is considered a cool-season annual herb. 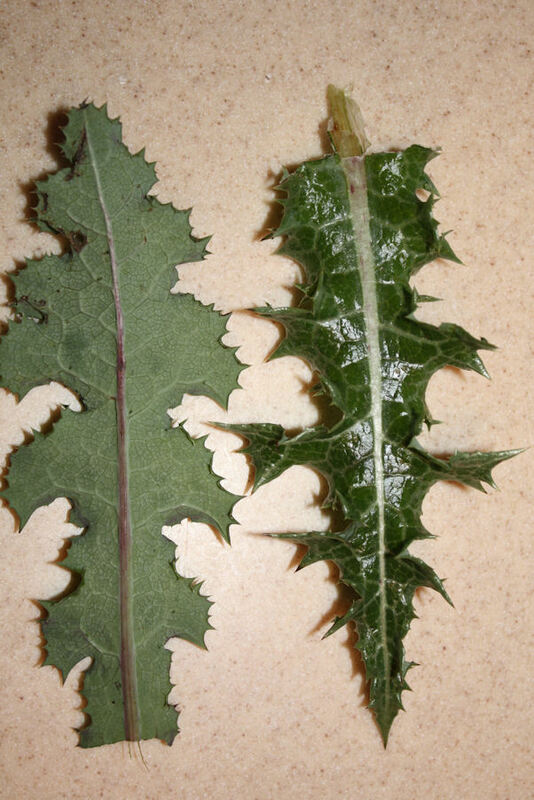 That being the case, if you run across a sowthistle this time of year it's more likely to be S. Asper than S. Oleraceus which although a more common sowthistle (hence the name Common Sowthistle), it tends to grow more in warmer weather. You'll see them both growing usually in mid to moderate sunlight along roadsides, yards, cultivated areas, gardens etc. It is hard to miss this time of year once the stalk emerges above the dead plants of winter and the bright yellow flowers open up. 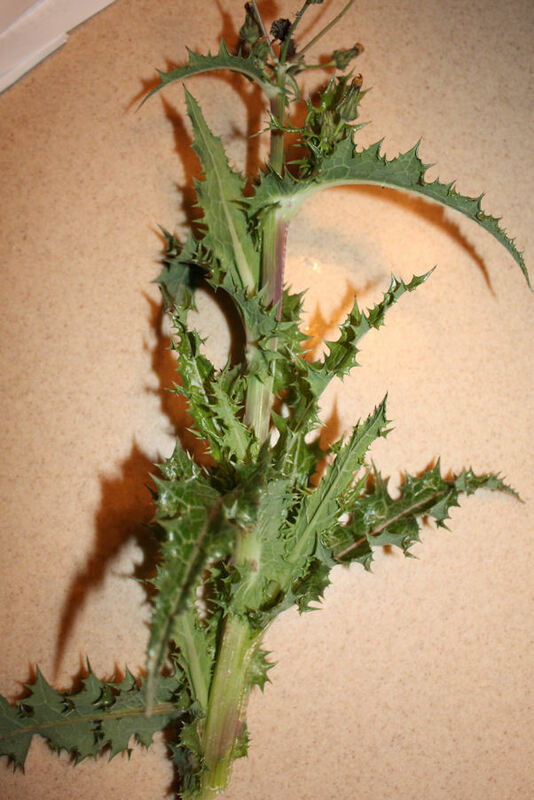 As the name Spiny Sowthistle suggests, it is probably the spiniest of the sowthistles. The larger leaves are bitter and also have the sharpest spines, so handle with care. You can take a pair of scissors and cut off the spines. 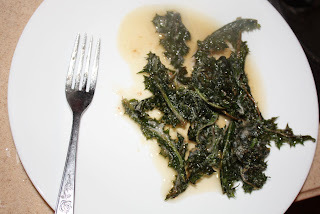 They are not an issue if the leaves are young and tender but don't be affraid to include a few of the older leaves as cooking also helps with the bitterness. Don't confuse the Sowthistles (Sonchus) with the Wild Lettuces (Lactuca) although they both have almost the same edible uses. It is considered high in vitamins according to some sources. The tender leaves can be eaten raw and actually do resemble lettuce in looks and in taste. 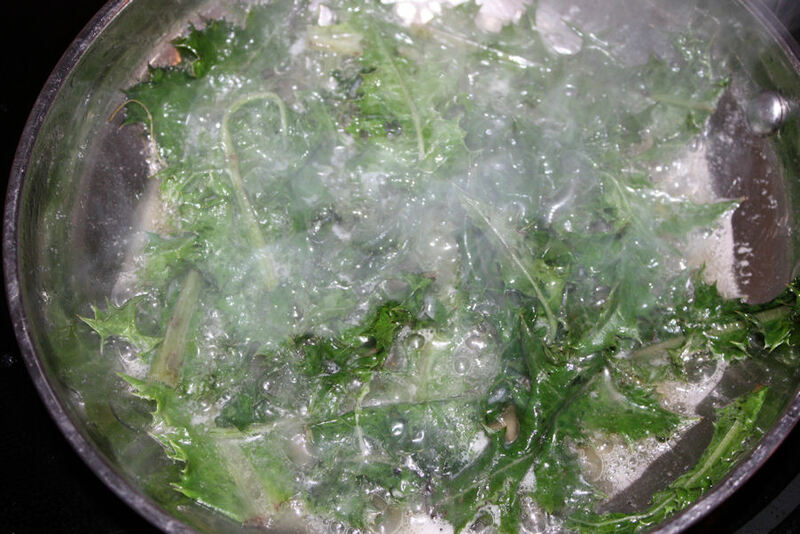 Older leaves can be cooked and made more palatable by removing the spines mechanically or sometimes cooking breaks them down. 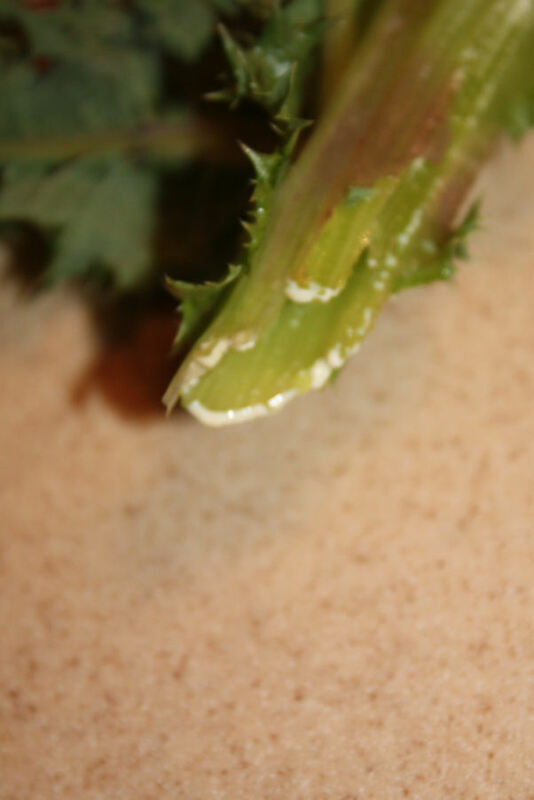 The stalks can be peeled and eaten raw or cooked like asparagus. Flowers and flower buds are also edible. Even the roots can be eaten raw or cooked when young by processing them to remove the fibers. At least one source I’ve read says to clean the milky substance (latex) before eating, but good luck with that because it seems like an impossible task to me. There are other sources that do not say you have to do that before eating however. I will mention that the author of that source may have been scared of the white sap because in most cases the white is considered poisonous in other species and typically we stay away from them. In this case, it isn’t that big of a deal. If you’re sensitive, then you might be careful and sample in small pieces at first. Personally I tried the peeled stalk and it was a little bitter to me, but I’ve never been a celery type individual. If it were cooked in a stew or something, I’m sure it would have been just fine, but I tried it raw (without peanut butter). One last note, it may be preferred to cut the spines off of the Spiny Sowthistle leaves. This takes time I know. 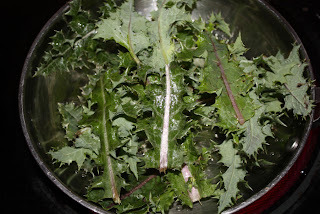 The leaves I ate were young, but even cooked, the thistles were noticeable. I didn't say not edible. 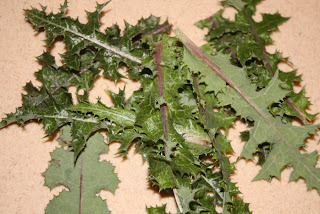 However, older leaves could cause mechanical injury if the thistles are left on. In simple terms, they could get stuck in your throat, to be cautious with this plant. The "stickers" are not near as noticeable with the other sowthistles.